Small colorful rosettes form large clusters. 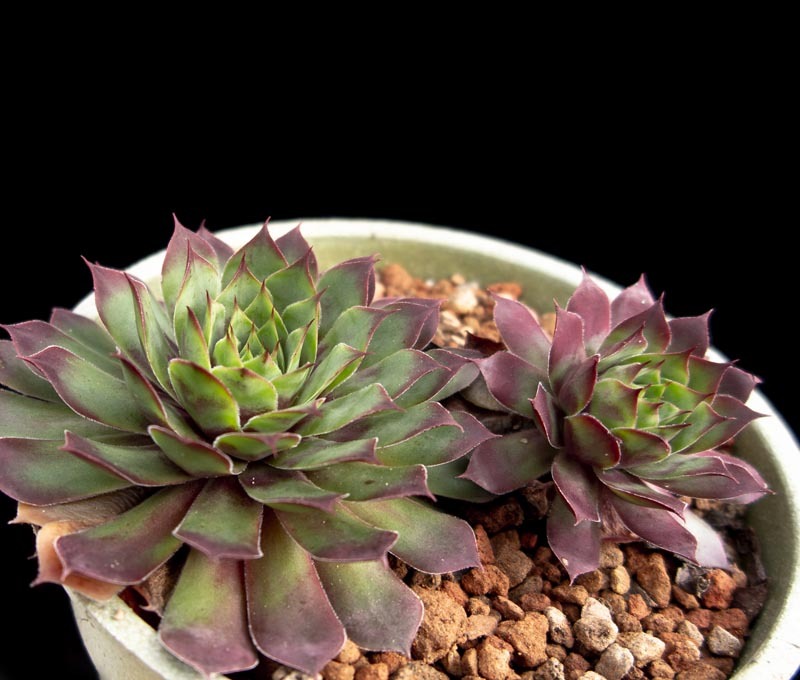 Reddish centers with green leaves. Light shade inland and in hot areas.